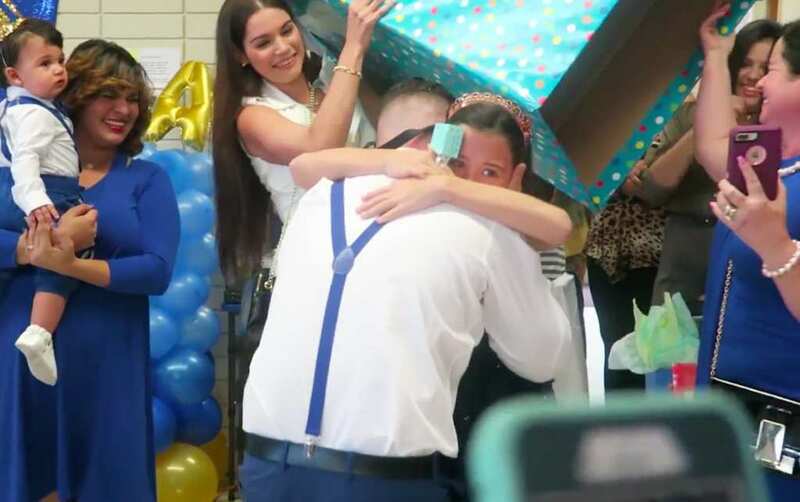 This Man Got The Best Surprise Ever At His Son’s Birthday Party! Birthdays are lovely occasions because we get to share them with the people who mean the most to us in the world. This particular birthday was caught on camera by Alisson and Emily who have a YouTube channel called Sister Forever. 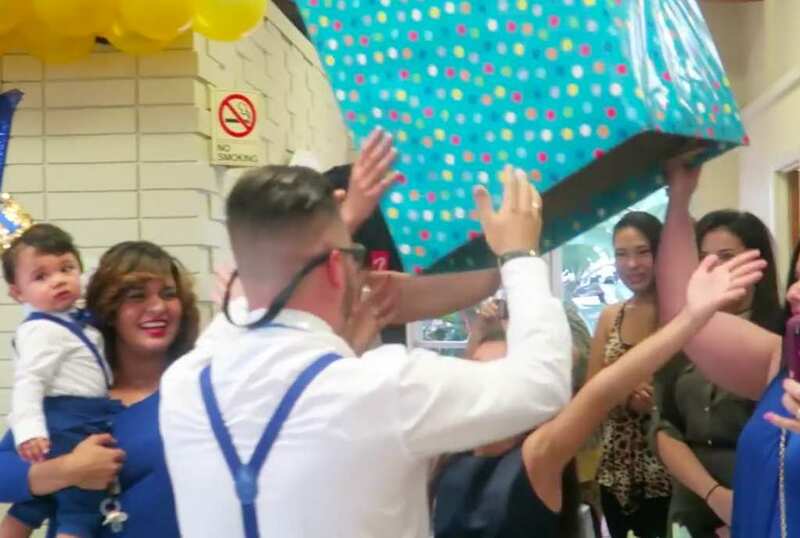 It was the birthday of baby Aaron, and his parents and family members were there to celebrate this cute moment. The party had all the excitement that makes children happy! There were banners, colors, a clown as entertainment, and also a large present just waiting to be opened! Little did Aaron’s dad know, there was something special waiting for him, too. 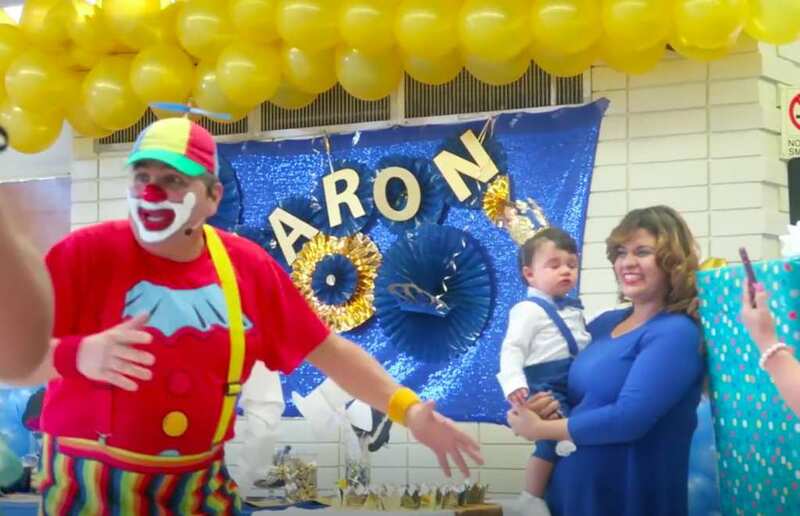 This gets the crowd going, and the clown decides that Aaron’s father should be the person who opens the gift. 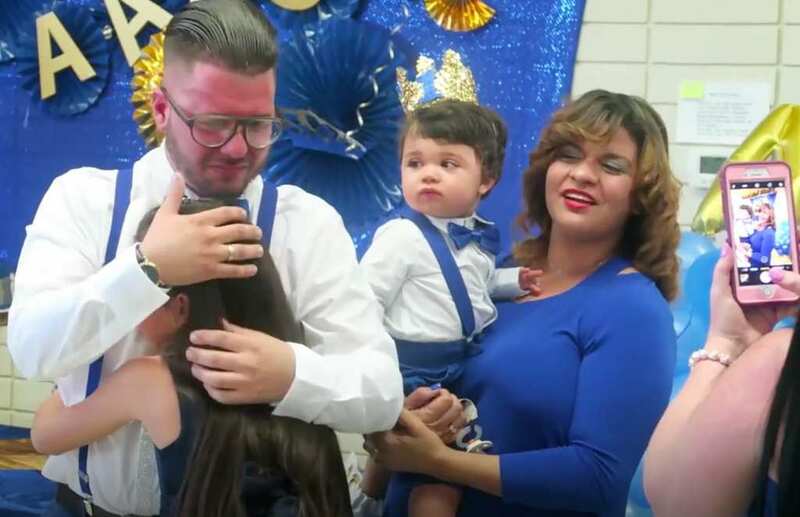 Since it was a birthday party for baby Aaron, his father understandably assumed that the present was for his son… However, he was going to have even more to celebrate very soon! The clown also tells Aaron’s dad something essential before the unwrapping begins. He says that the gift has been presented with love. He starts to unwrap the ginormous gift and soon realizes that there is something alive in the box! Is it a puppy or a kitten? No – it was something that was very close to Aaron’s dad’s heart. With help from the crowd, he lifted off the top of the box, and there was a little girl with her arms outstretched, waiting for a hug! The little girl was, in fact, Aaron’s dad’s daughter. Why was this such a surprise? The father and daughter had been apart for 10 years because she lives in Cuba and they finally had the chance to reunite! This was a heartwarming moment for everyone at the party and reminds you to value the time you have with those who are important to you.